Paris International Judo tournament, part of the Grand Slam, at the Palais Omnisports de Paris-Bercy (POPB) in Paris, part of my assignment for the International Judo Federation. 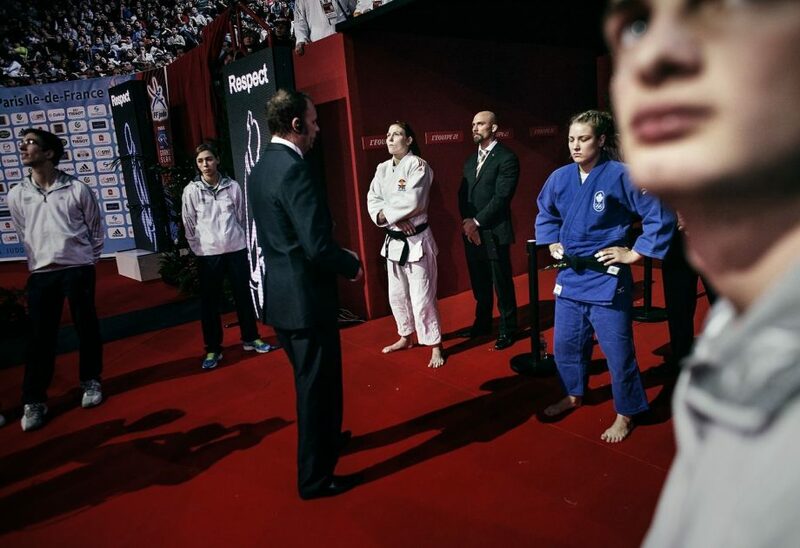 On August 25, Marius Vizer was reelected the President of the International Judo Federation. 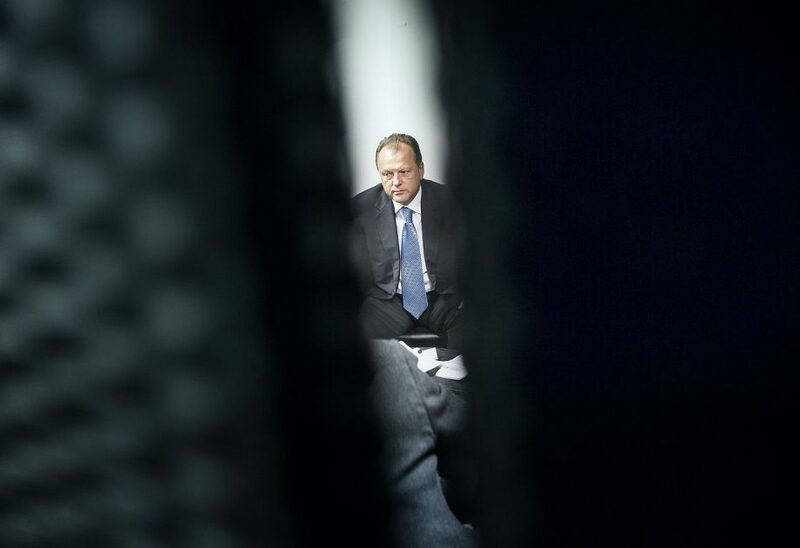 Marius Vizer, president of the International Judo Federation, seen during the Paris International Judo tournament, part of the Grand Slam, at the Palais Omnisports de Paris-Bercy (POPB) in Paris. 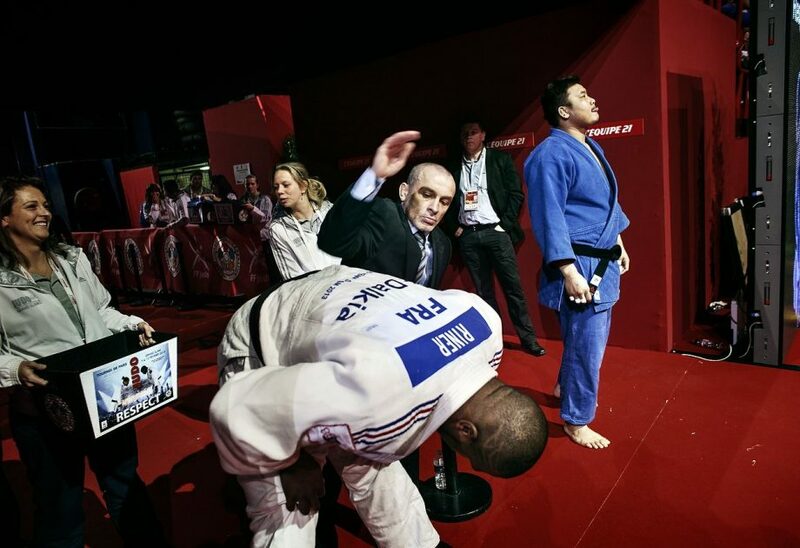 Teddy Riner from France gets prepped before entering the arena against South Korea’s Kim Sung-Min (R) on February 10, 2013, during the Men +100kg final of the Paris International Judo tournament, part of the Grand Slam, at the Palais Omnisports de Paris-Bercy (POPB) in Paris. 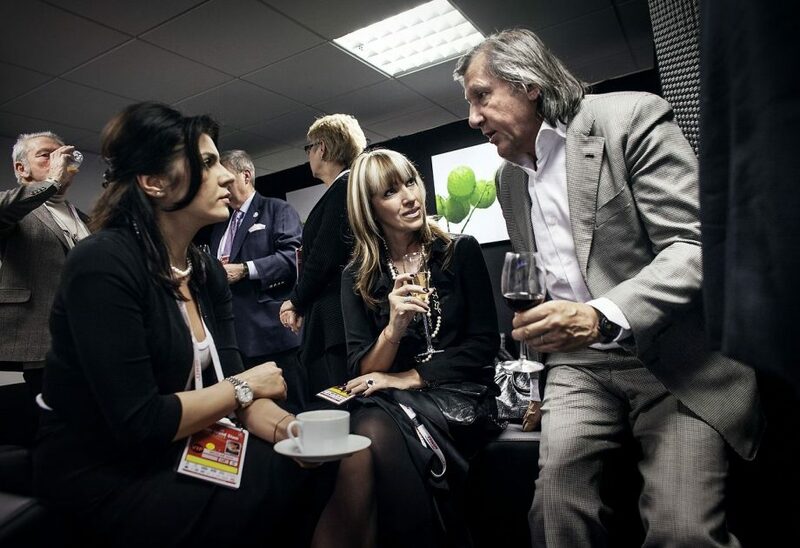 Irina Vizer (left), former member of pop band A.S.I.A and actual wife of Marius Vizer, the president of the International Judo Federation, talks to Ilie Nastase (right) on on February 10, 2013, during the Paris International Judo tournament, part of the Grand Slam, at the Palais Omnisports de Paris-Bercy (POPB) in Paris. 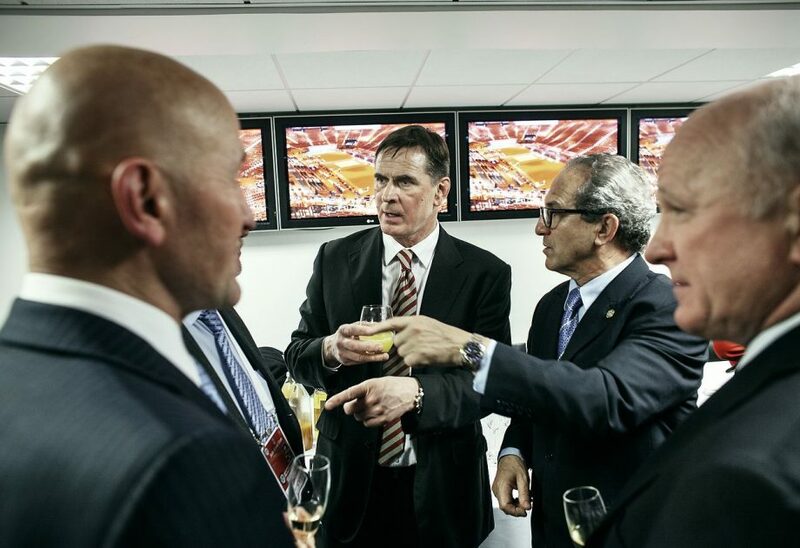 Top event organisers seen on February 10, 2013, during the Paris International Judo tournament, part of the Grand Slam, at the Palais Omnisports de Paris-Bercy (POPB) in Paris. 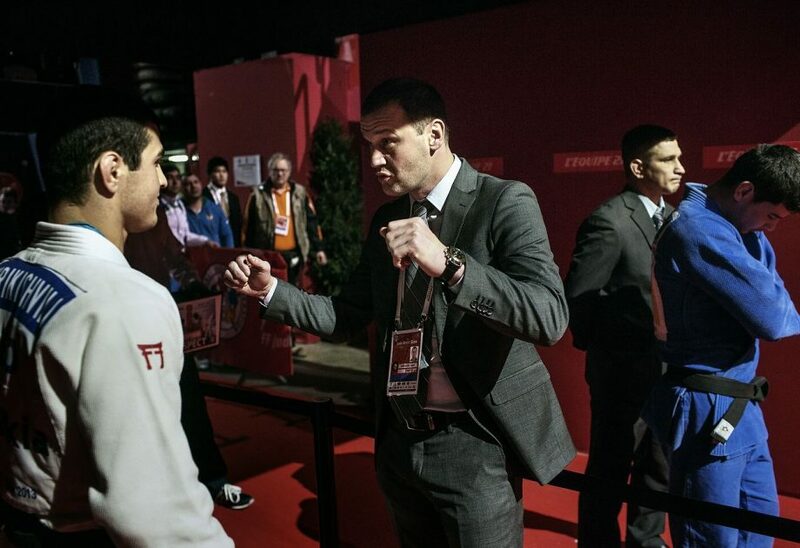 Georgia’s Avtandil Tchrikishvili (L) ready to enter the arena on February 10, 2013 in the men’s 81kg category semi-finals during the Paris International Judo tournament, part of the Grand Slam, at the Palais Omnisports de Paris-Bercy (POPB). 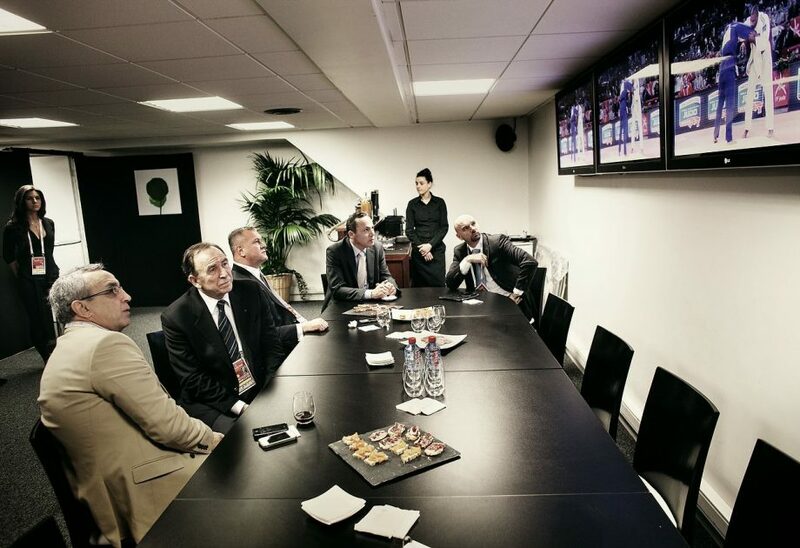 Marius Vizer (left), president of the International Judo Federation, seen talking to strategy adviser Dragos Grioriu (middle) and X, the representative of Eurosport during the Paris International Judo tournament, part of the Grand Slam, at the Palais Omnisports de Paris-Bercy (POPB) in Paris. 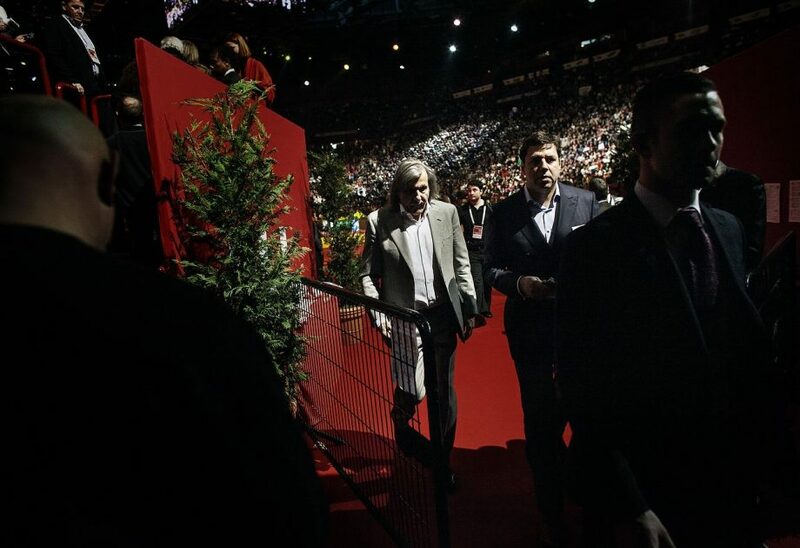 Top event organiser seen on February 10, 2013, during the Paris International Judo tournament, part of the Grand Slam, at the Palais Omnisports de Paris-Bercy (POPB) in Paris. 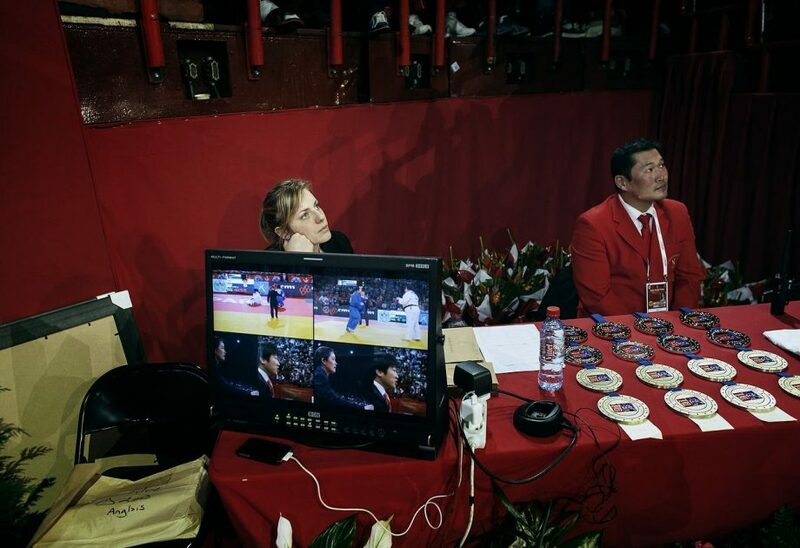 Event organisers fallow the games on the big screens on February 10, 2013, during the Paris International Judo tournament, part of the Grand Slam, at the Palais Omnisports de Paris-Bercy (POPB) in Paris. 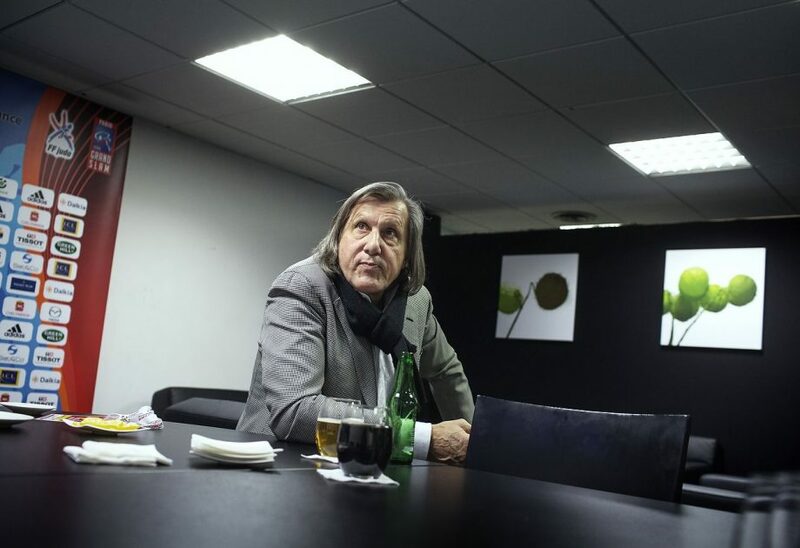 Former Romanian tennis player Ilie Nastase seen at the officials lounge on February 10, 2013, during the Paris International Judo tournament, part of the Grand Slam, at the Palais Omnisports de Paris-Bercy (POPB) in Paris. Members of the Brasilian judo delegation seen in the warmup area on February 10, 2013 during the Paris International Judo tournament, part of the Grand Slam, at the Palais Omnisports de Paris-Bercy (POPB) in Paris. 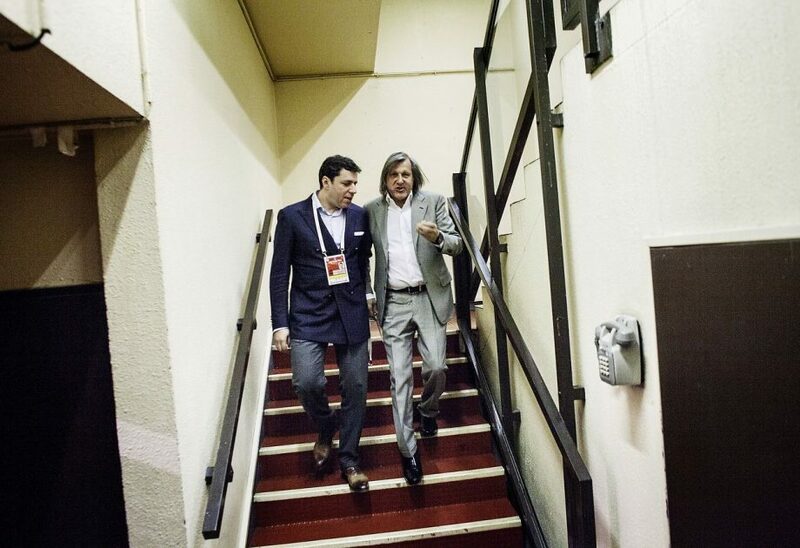 Former Romanian tennis player Ilie Nastase seen walking towards the arena on February 10, 2013, during the Paris International Judo tournament, part of the Grand Slam, at the Palais Omnisports de Paris-Bercy (POPB) in Paris. 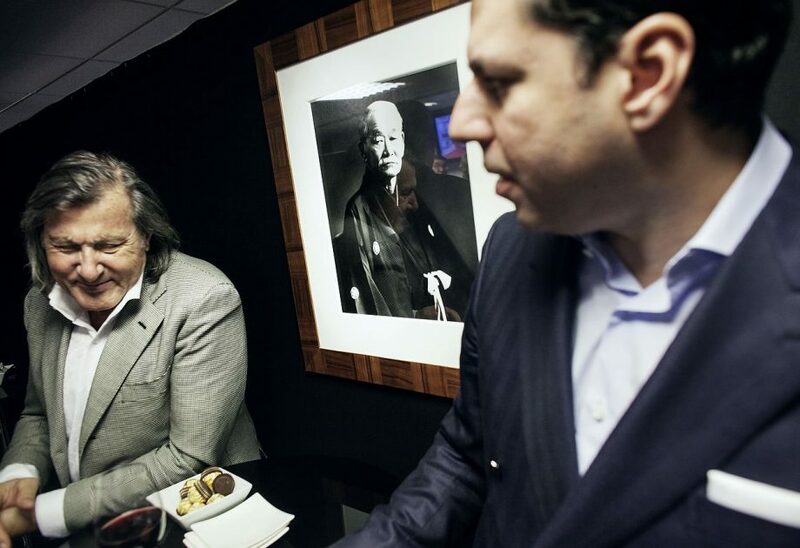 Former Romanian tennis player Ilie Nastase seen in the VIP box on February 10, 2013, during the Paris International Judo tournament, part of the Grand Slam, at the Palais Omnisports de Paris-Bercy (POPB) in Paris. 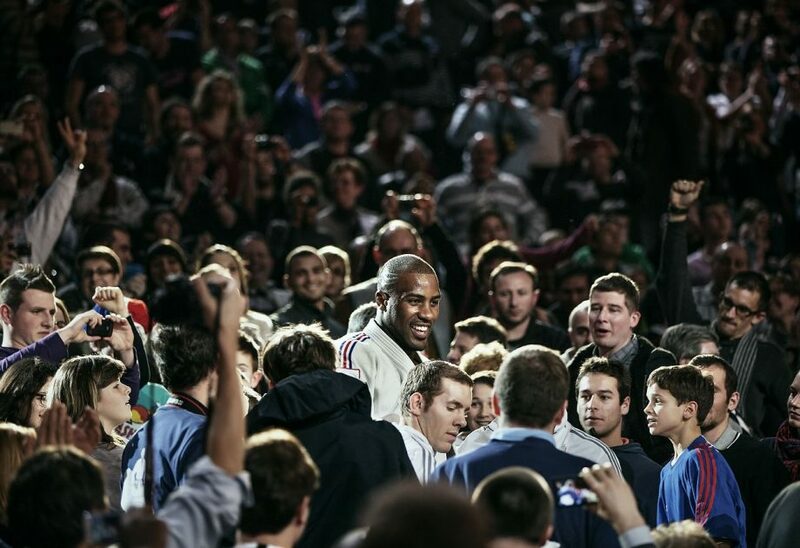 France’s Teddy Riner celebrates after beating South Korea’s Kim Sung-Min on February 10, 2013, during the Men +100kg final of the Paris International Judo tournament, part of the Grand Slam, at the Palais Omnisports de Paris-Bercy (POPB) in Paris. 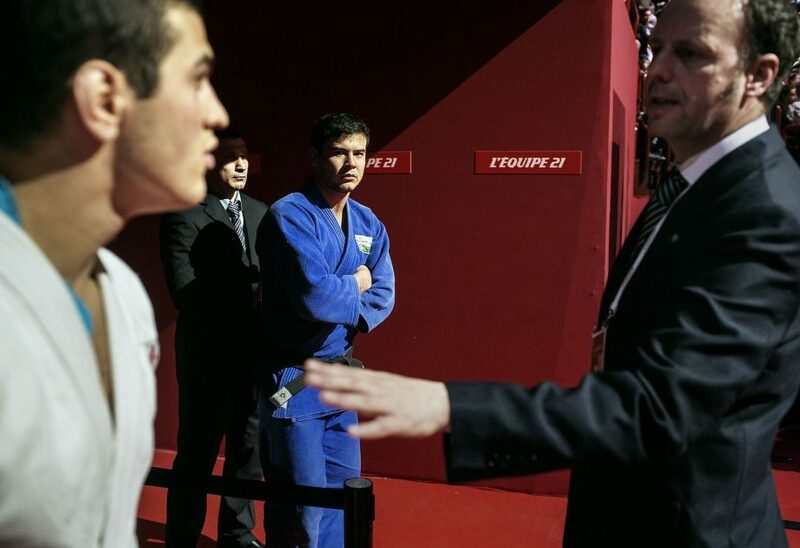 Georgia’s David Loriashvili (white) and Japan’s Kumashiro Yusuke ready to enter the arena on February 10, 2013, during the Men -100kg eliminators of the Paris International Judo tournament, part of the Grand Slam, at the Palais Omnisports de Paris-Bercy (POPB) in Paris. 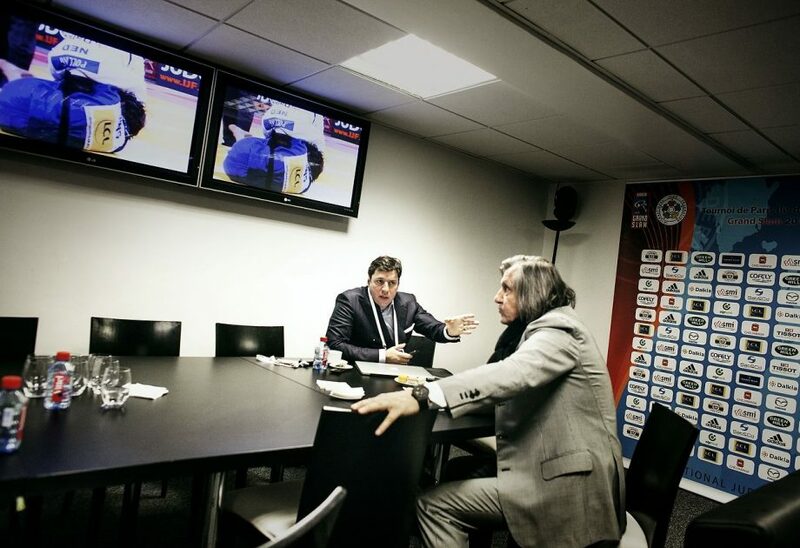 Romanian President of the Judo Federation (right) and other officials watch Teddy Riner from France on February 10, 2013, during the Men +100kg qualifications of the Paris International Judo tournament, part of the Grand Slam, at the Palais Omnisports de Paris-Bercy (POPB) in Paris. Kim Polling of the Netherlands preparing to enter the arena February 10, 2013 for the Women -70Kg final of the Paris International Judo tournament, part of the Grand Slam, at the Palais Omnisports de Paris-Bercy (POPB) in Paris. 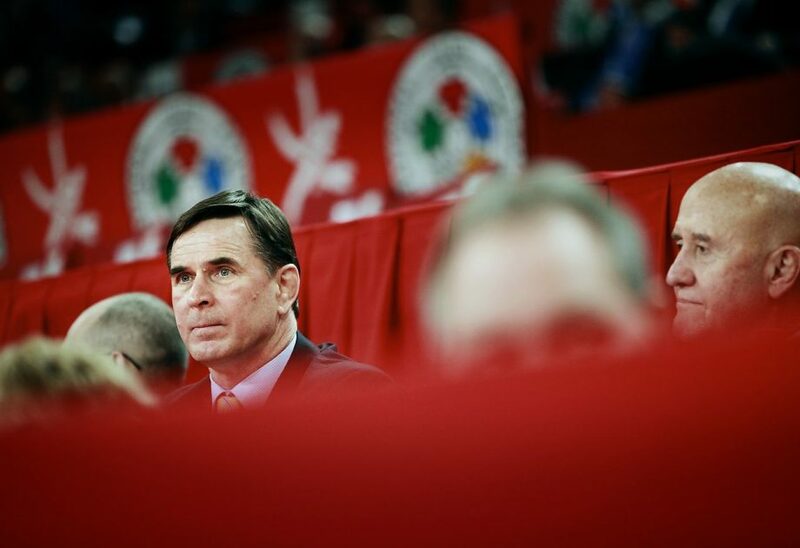 Reflection of former Romanian tennis player Ilie Nastase, seen on on February 10, 2013 on a picture depicting Kano Jigoro, the founder of judo, during the Paris International Judo tournament, part of the Grand Slam, at the Palais Omnisports de Paris-Bercy (POPB) in Paris. 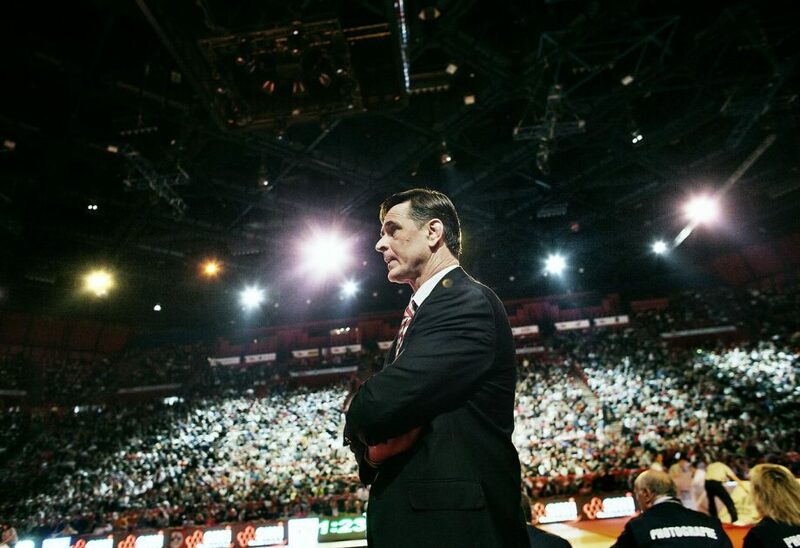 Top event organiser seen on February 9, 2013, during the Paris International Judo tournament, part of the Grand Slam, at the Palais Omnisports de Paris-Bercy (POPB) in Paris. 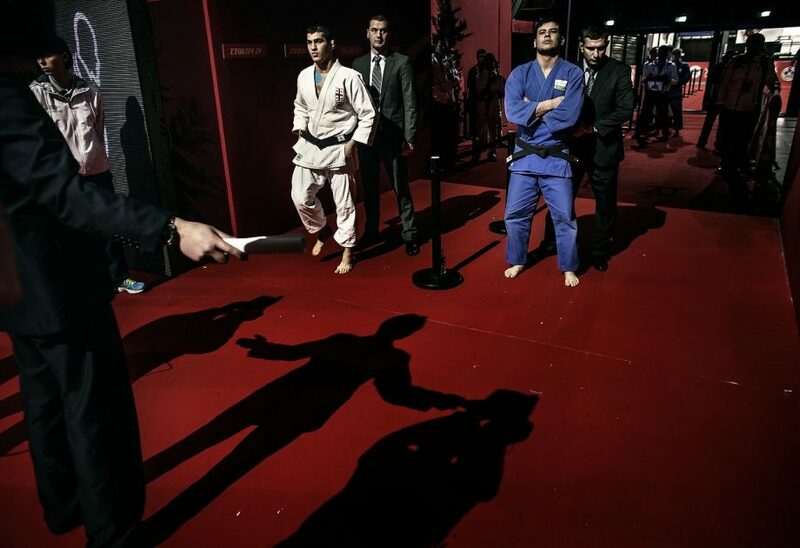 Georgia’s Avtandil Tchrikishvili (L) and ready to enter the arena on February 10, 2013 in the men’s 81kg category semi-finals during the Paris International Judo tournament, part of the Grand Slam, at the Palais Omnisports de Paris-Bercy (POPB). 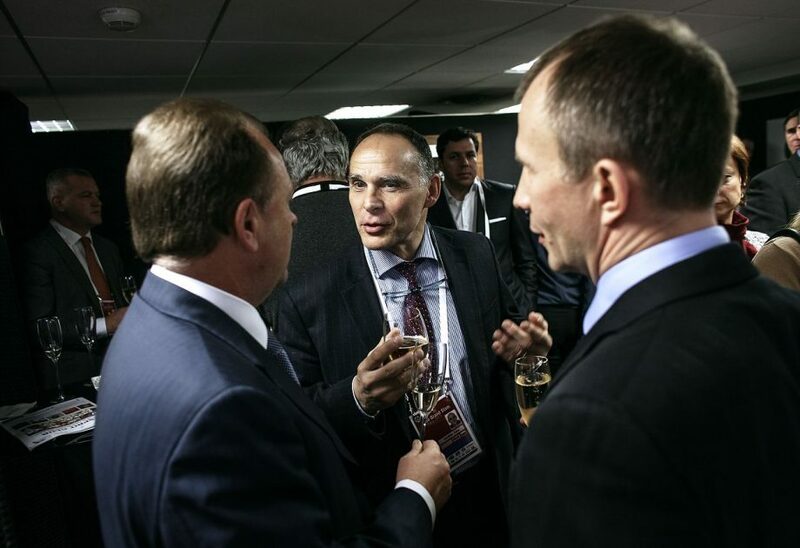 Marius Vizer (left), president of the International Judo Federation talks to members of the Russian delegation, as seen on February 10, 2013, during the Paris International Judo tournament, part of the Grand Slam, at the Palais Omnisports de Paris-Bercy (POPB) in Paris. 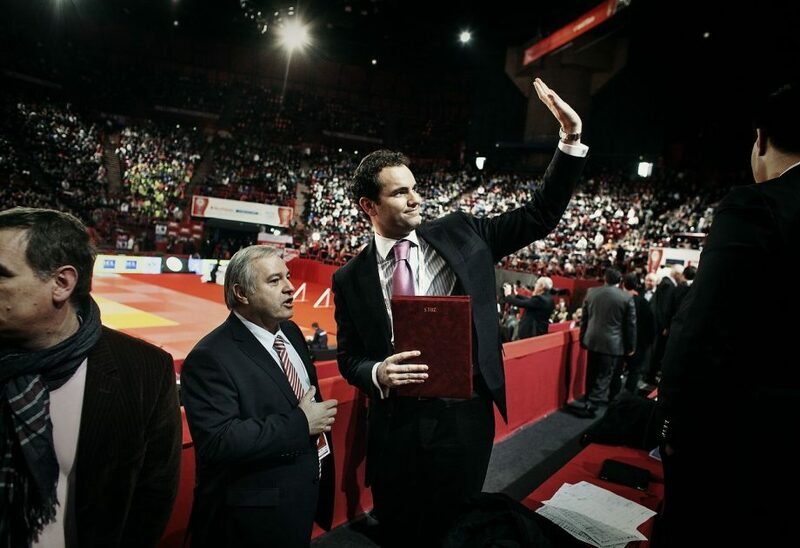 Georgia’s Avtandil Tchrikishvili (R) and ready to enter the arena on February 10, 2013 in the men’s 81kg category semi-finals during the Paris International Judo tournament, part of the Grand Slam, at the Palais Omnisports de Paris-Bercy (POPB). 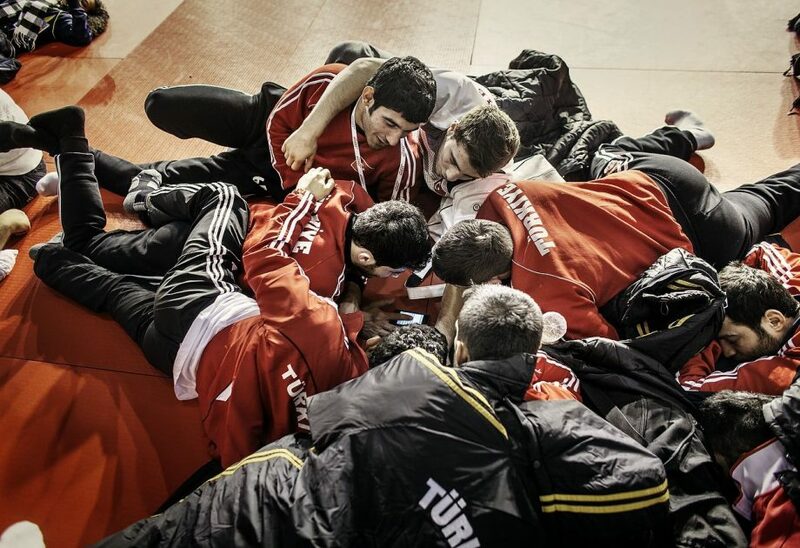 Members of the Turkish judo delegation seen in the training area on February 10, 2013, during the Paris International Judo tournament, part of the Grand Slam, at the Palais Omnisports de Paris-Bercy (POPB) in Paris. 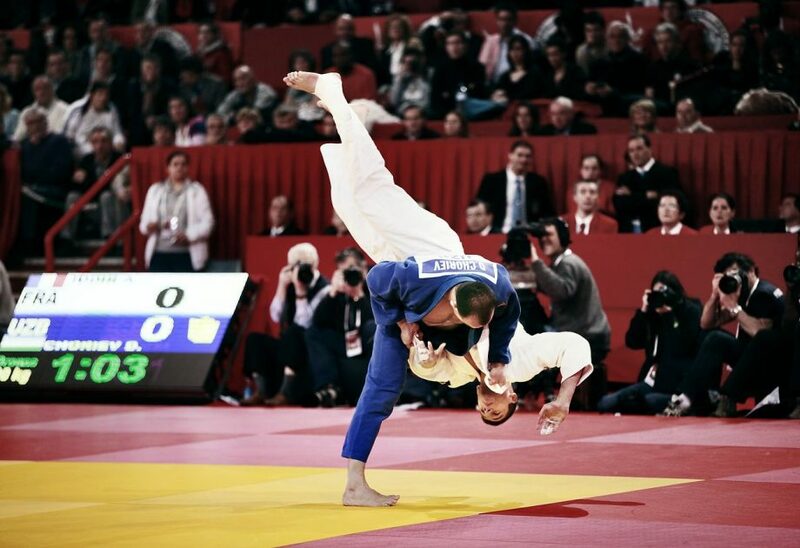 Judo players competing on February 10, 2013 during the Paris International Judo tournament, part of the Grand Slam, at the Palais Omnisports de Paris-Bercy (POPB) in Paris. Georgia’s Varlam Liparteliani (white) fights against Uzbekistan’s Dilshod Choriev on February 10, 2013, during the Men -90kg semi-finals of the Paris International Judo tournament, part of the Grand Slam, at the Palais Omnisports de Paris-Bercy (POPB) in Paris. 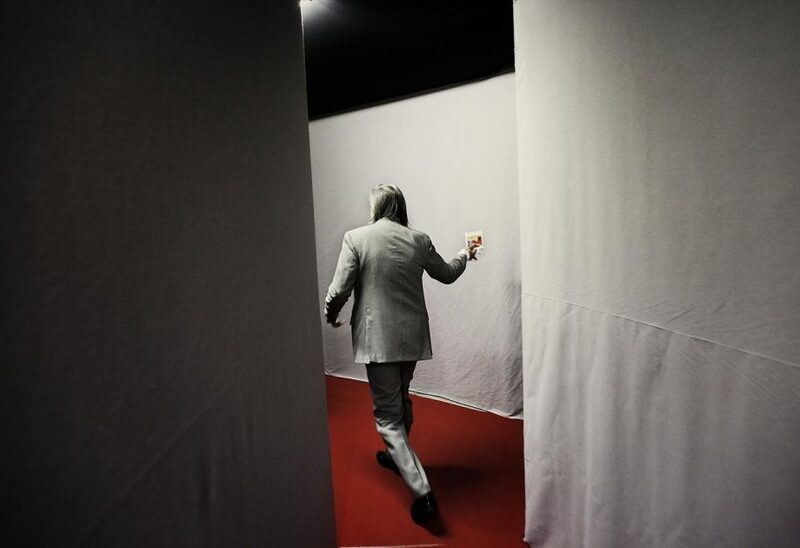 Former Romanian tennis player Ilie Nastase seen walking towards the VIP box on February 10, 2013, during the Paris International Judo tournament, part of the Grand Slam, at the Palais Omnisports de Paris-Bercy (POPB) in Paris. 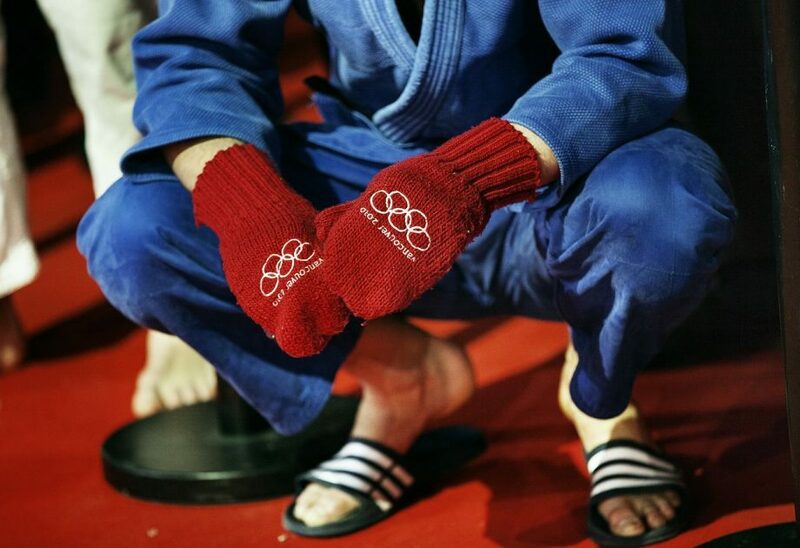 Judo player keeps his hands warm before entering the arena on February 10, 2013, of the Paris International Judo tournament, part of the Grand Slam, at the Palais Omnisports de Paris-Bercy (POPB) in Paris. 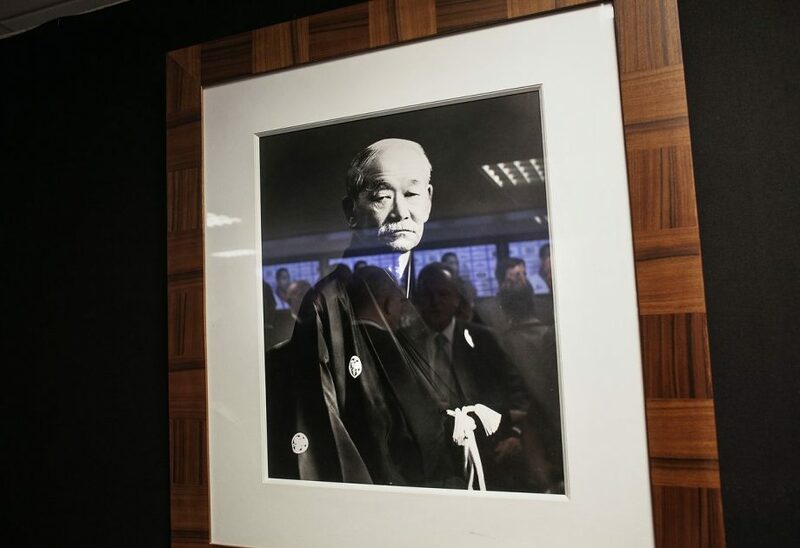 Reflection of Marius Vizer, president of the International Judo Federation seen on on February 9, 2013 on a picture depicting Kano Jigoro, the founder of judo, during the Paris International Judo tournament, part of the Grand Slam, at the Palais Omnisports de Paris-Bercy (POPB) in Paris. 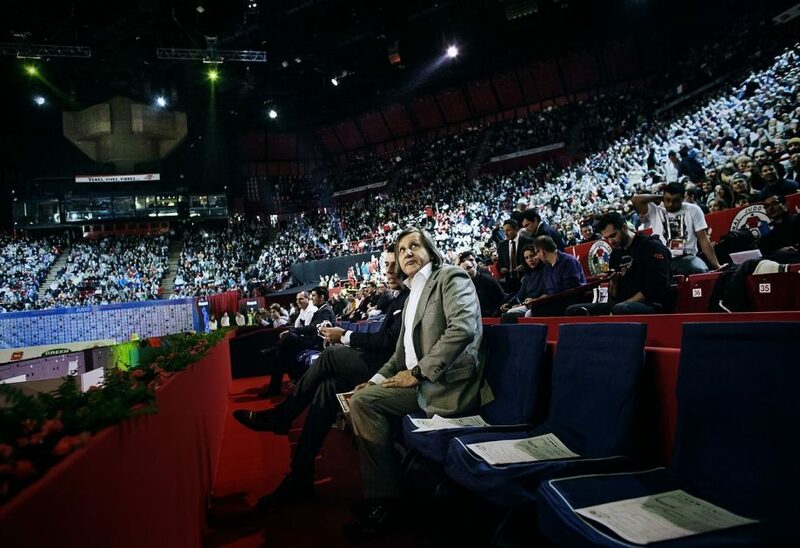 Ilie Nastase, the Romanian former tenis player seen during the Paris International Judo tournament, part of the Grand Slam, at the Palais Omnisports de Paris-Bercy (POPB) in Paris.